"Working along with natural principles, people can create economies that are more reliably prosperous than those we have now, and also more harmonious with the rest of nature." Copper, Taku, Iskut, and Skeena. Nooksack, Stillaguamish, and Willamette. Tillamook, Coquille, Trinity, and Eel. The great rivers that rise in the Cascades and Coast Ranges of the Pacific Northwest tend to fill valleys with a braided net of channels. For ten years, Ecotrust has led an experiment in environmental work that resembles those braided rivers. In the conservation economy — a society whose economic activity results in environmental and social improvement — distinct channels of economic and community activity combine in creative and unprecedented ways. Slowly and almost imperceptibly, people and places are transformed by a new kind of entrepreneurship. We have created three strong and independent affiliates: Ecotrust Canada, a Canadian charity supporting the emergence of a conservation economy in British Columbia; ShoreBank Pacific, a regulated commercial bank helping small businesses profit while improving social and environmental performance; and Shorebank Enterprise Pacific, a nonprofit business support organization offering capital and information to rural businesses that benefit community and landscape. We work in close partnership, guided by a common vision of the conservation economy. Our work brings the principles of community development together with the values of the conservation movement. We engage with hundreds of partners in dozens of communities. 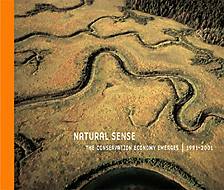 The six stories in this report trace a few channels in the braided river of the conservation economy. Neither a complete history nor an exhaustive description of Ecotrust and our affiliates, these stories offer emblematic instances in which we have been privileged to bring our capacities to bear on challenging situations, and to support individuals and initiatives that have achieved improbable outcomes. Glimpsing possibility, creating capacity, inventing institutions, supporting individuals — in our first decade, Ecotrust and our affiliates have come to exemplify an approach to the environmental and societal challenges of our times that aligns with George Bernard Shaw's words: "You see things and say 'Why?' but I dream things that never were and I say 'Why not?'" Opportunities to invest in this work to leverage social, environmental, and economic change promise attractive returns. We invite you to join us in exploring this braided river of change as it shapes the contours of our future.